I am very sure your question has been, "do I need to go to the place I registered for my UTME to reprint my JAMB slip?". Well, yes if you want but the truth is that you can reprint your slip for JAMB 2017 examination yourself without spending any kobo. All you need are a working PC with internet connection and a printer. Don't be scared. You can do this without any mistake if you rightly follow the steps I will show you on this post. However, if you can't, you can proceed to the CBT registration center where you registered to make the reprint. READ: Some Use of English Questions JAMB Keeps Repeating. It is important to note that this Exam Slip carries your actual exam date and also the venue of your examination aside other germane information. Also, note that there is a time span for this exercise. You can reprint your UTME/JAMB examination slip any day you want between 8th and 13th May, 2017. READ ALSO: How to Answer Questions on Emphatic Stress in Use of English Exams. 3. After a successful login, look at the right corner of the page; you will see a bold, green heading with the words "Re-Print Your Slip". Click on it. 4. Write your JAMB registration number in the provided space and then click "Re-Print". 5. You will get the information of your exact date of the exam, time and also the venue. 6. 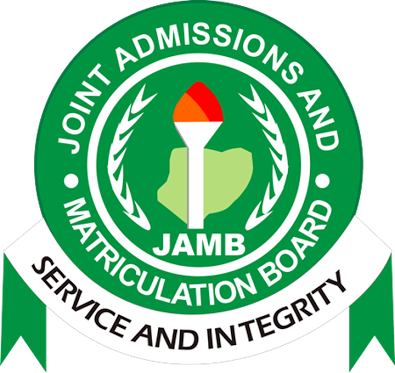 Print out your JAMB slip via your printer or just press "ctrl" and then "P" on your keyboard. Then, click on "Print". That is it! 7. Wait for your exam slip to roll out of the printer. 8. Get your slip. You are good to go! 1. The reprinting must be carried out only using a computer system that has an attached printer. 2. Do not use Opera Mini on JAMB official website if you must use a mobile phone for reprinting. 3. It doesn’t cost much to print the slip. It is highly advisable that you make photocopies of the slip. You can predict the future. You may need them.